Days after rolling out enhanced maternity benefits for its women employees, India's largest online marketplace Flipkart has announced that it will soon come up with a similar policy for expectant fathers. "Announcing the new maternity benefits policy at Flipkart! And a policy for dads-to-be coming up soon," the company said on Tuesday in a post on social networking site Linkedin. A Flipkart spokesperson told ET, "The paternity policy at Flipkart aims at providing flexibility to employees to help them take care of personal exigencies as well as be productive at work. Flipkart wants to support and encourage their male employees to shoulder their responsibilities at home." The company will increase the paternity leave to 10 days either before the child is born or within six months after the child is born, the spokesperson said. Besides, the male employees will have flexibility to work for four hours at office and the rest from home for the first three months before or after the child's birth. 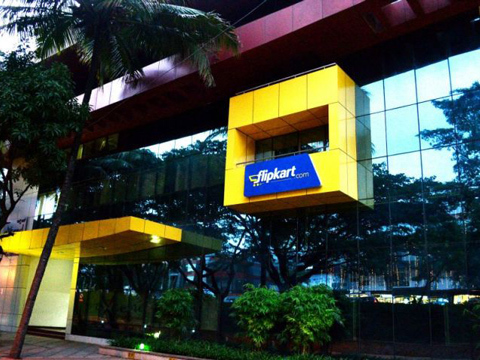 Flipkart recently became the first major ecommerce company to come up with enhanced maternity benefits when it announced an extended maternity leave of 24 weeks for new mothers. According to reports, Accenture in May increased maternity leave benefits for its full-time and part-time women employees in India to 22 weeks of paid leave. Prior to this, Vodafone India had announced a new maternity policy, offering 16 weeks of paid maternity leave and six hours per day for six months post return from maternity for childcare. Flipkart's maternity programme gives new mothers an option to choose flexi-working hours for four months with full pay, and, if needed, one-year career break without pay. For travel, the company will provide up to Rs 600 per day transport reimbursement to its women employees for two months before they go on maternity break, along with dedicated parking spots two months before and after delivery. The company will also provide women employees maternity claim benefit of Rs 65,000 in case of normal delivery and Rs 80,000 in case of C-section.